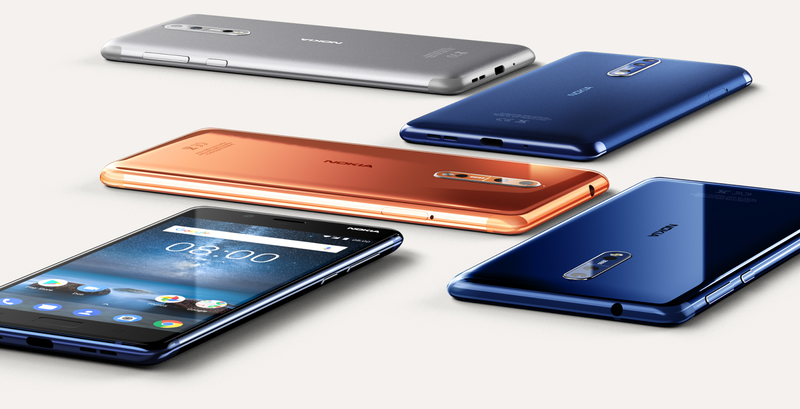 LoveNokia | Latest News and Information about Nokia Mobile: Nokia 8 is Official!! The long awaited flagship Nokia smartphone the Nokia 8, has finally been launched by HMD Global last night at an event that was held in London yesterday. 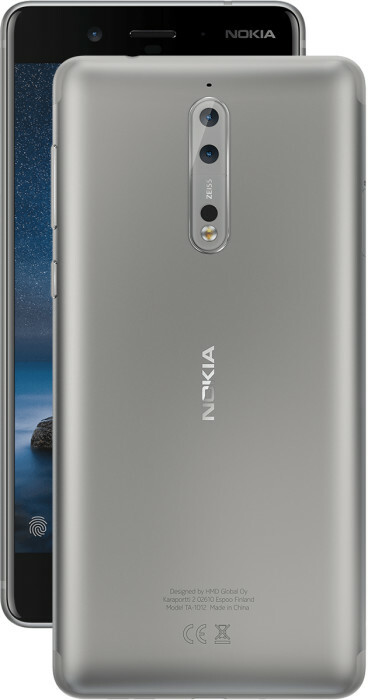 Nokia 8 is the first flagship smartphone from Nokia running on Android. At first glance, Nokia 8 looks a lot similar to Nokia 5 in terms of design. Nokia 8 is slick and a very beautifully crafted smartphone. 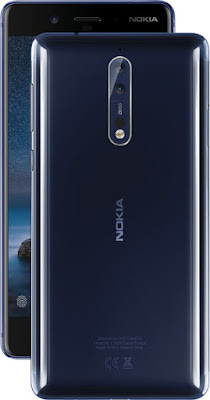 Nokia 8 is made out of a single piece of 6000 series aluminium block and goes through a 40-stage process of machining, anodizing and polishing resulting in a strong and beautifully crafted smartphone. Nokia 8 comes in a unibody design and measures just 4.6mm at the edge and 7.9mm at its thickest point. Nokia 8 comes in four color options - Polished Blue, Polished Copper, Tampered Blue and Steel. Nokia 8 is powered by Qualcomm Snapdragon 835 Processor and comes in two variants. Polished Blue comes with 6GB RAM and 128 GB of storage while all other color variants come with 4GB RAM and 64GB of storage. The phone has 5.3" QHD IPS LCD display protected by a 2.5D curved Gorilla Glass 5. The screen is polarizing filter for better sunlight readability and has a maximum brightness of 700 nits. We also get an Always-On display which is similar to Glance Screen. 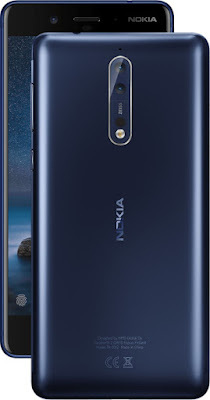 Nokia 8 features a 13 MP dual image-fusion rear camera with both colour and monochrome sensors at back and a wide-angle 13 MP phase detection autofocus camera at front. Both front and rear cameras are equipped with ZEISS optics. The color sensor at the back supports OIS which will further help in shooting some great videos and photos. With the Dual Sight mode on Nokia 8, one can also shoot videos and images simultaneuosly from both front and rear cameras. It also lets you live stream Dual-Sight videos directly to facebook and youtube. Nokia calls this feature as "Bothie". London, UK 16th August 2017 – HMD Global, the home of Nokia phones, today announced the Nokia 8, a high performance, beautifully crafted smartphone, designed with content creators in mind. 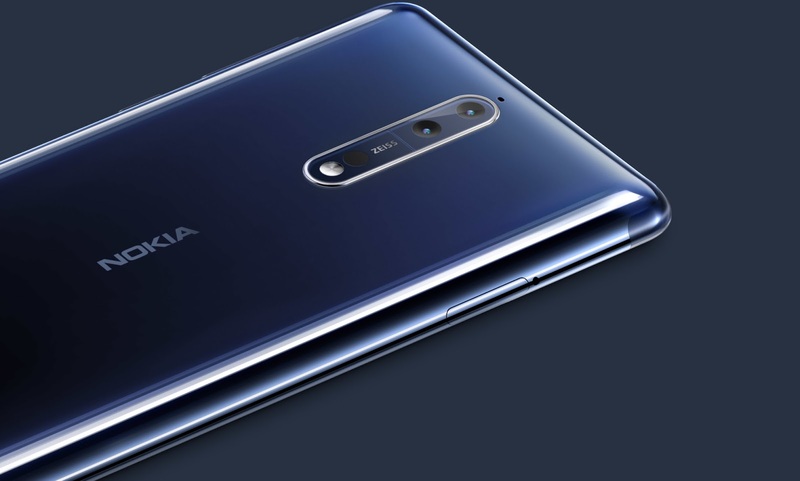 The Nokia 8 brings three world-firsts to Android smartphones, including a debut collaboration with ZEISS optics. With performance and pure Android at its heart, as well as the most advanced aluminium unibody design to date, the Nokia 8 represents all the hallmarks of a true flagship Nokia smartphone. There are two sides to every story and the Dual-Sight feature of Nokia 8 is designed to help you create and share the full picture. The front and rear-facing cameras on the Nokia 8 have been co-developed with ZEISS optics for an optimum all round experience. Content creators can natively broadcast their unique #Bothie stories to social media through the Dual-Sight functionality located within the camera app. Fans can also enjoy unlimited1 photo and video uploads to Google Photos. Featuring OZO Audio, Nokia 8 combines three microphones with exclusive Nokia acoustic algorithms to capture audio with immersive 360° spatial surround sound. Share your 4K videos with OZO Audio anywhere – binaural codecs enable high fidelity playback even on devices without OZO Audio. The Nokia 8 has been designed from the ground up with the consumer in mind to deliver unique content capture and sharing experiences. This requires it to be as meticulously designed on the inside as it is on the outside. To keep your phone working harder for longer, the design, innovation and engineering teams worked hand-in-hand to deliver. The result is a full-length graphite shielded copper cooling pipe that dissipates the heat generated by the high performing system across the full length and breadth of the handset. The Nokia 8 runs cooler in even the most demanding situations. Nokia 8 is Qualcomm® Quick Charge™ 3.0 compatible, meaning when your battery is running low you can get back to recording your important moments sooner. Nokia smartphones always offer a pure Android experience, with no unnecessary apps slowing down the performance of your device. 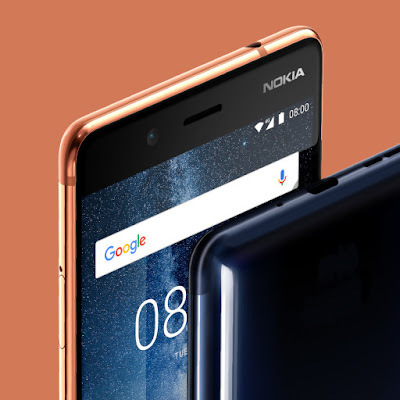 And with Nokia 8, pure Android combined with our innovative engineering processes unleashes the full potential of the SnapdragonTM 835 Mobile Platform. With monthly security updates, the Nokia 8 is safe and up-to-date. Your device is secured with biometric fingerprint authentication, delivering enhanced security and making Nokia 8 a versatile companion whatever your needs. We offer a range of accessories perfectly tailored to suit the active lifestyle of any Nokia 8 owner. The Nokia 8 works beautifully with the Nokia Active Wireless Headset – a lightweight, water, sweat, and dust proof premium headset. Carved from aluminium for the perfect match, this headset features a beautiful diamond cut design. 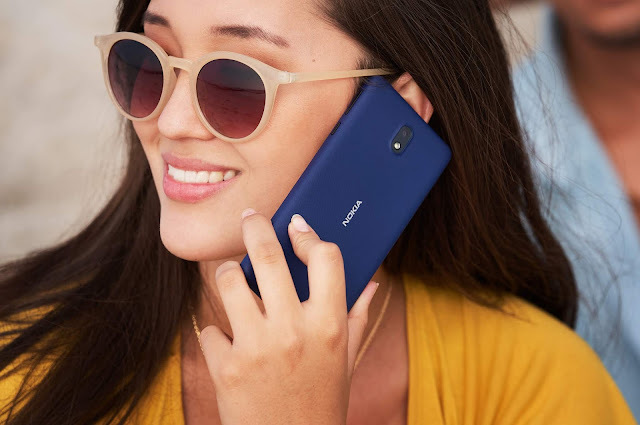 The full portfolio of accessories for Nokia phones includes a range of headsets, portable speakers, in-car chargers, cases and screen protectors. 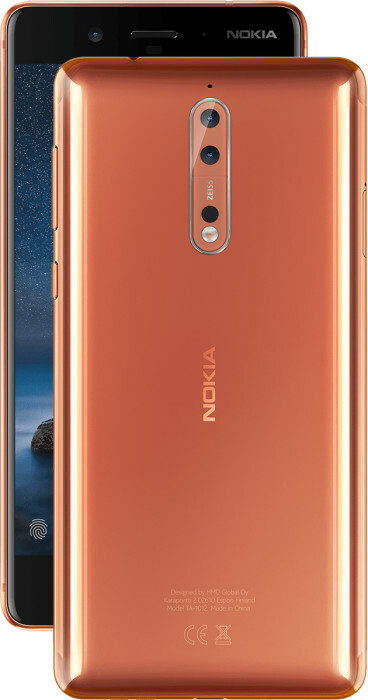 Nokia 8 will be available in four colours: Polished Blue, Polished Copper, Tempered Blue and Steel and will be available at a global average retail price of €599 with roll out throughout September. Here is the link to the official product page of Nokia 8.